Constructed of Marine Grade Polymer, the St. Catherine MGP Cushion Collection combines comfort with durable, worry-free MGP. 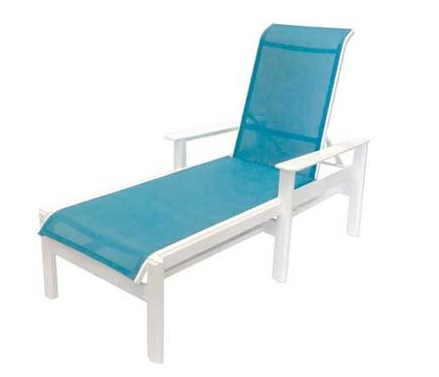 The curved wide MGP arms allow for added comfort and complement the gentle curves of the legs. The durability allows the use of this product either under cover or out in the open without concern. The collection uses stainless hardware that is hidden whenever possible. Constructed of Marine Grade Polymer, the St. Catherine MGP Cushion Collection combines comfort with durable, worry-free MGP. 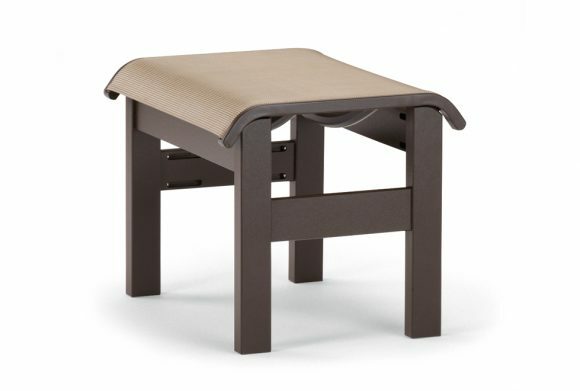 The curved wide MGP arms allow for added comfort and complement the gentle curves of the legs. The durability allows the use of this product either under cover or out in the open without concern. The collection uses stainless hardware that is hidden whenever possible. Available in a variety of frame and sling colors. 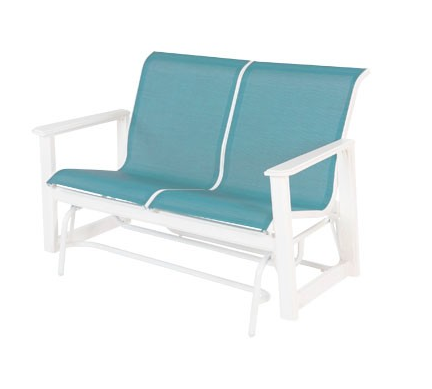 The Hampton Sling Loveseat Glider is made using prime HDPE, a durable material that will not rot, swell, blister, fade or chemically break down when exposed to humidity, water, or sunlight, making it perfect for commercial use. Also available as a 42" High Back. Also available with wheels, with or without arms. 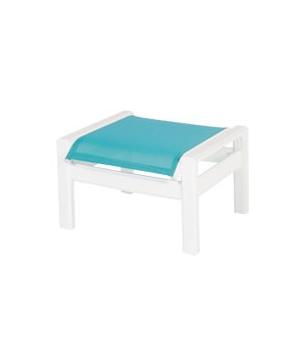 The Hampton Sling Ottoman is made using prime HDPE, a durable material that will not rot, swell, blister, fade or chemically break down when exposed to humidity, water, or sunlight, making it perfect for commercial use. Constructed of Marine Grade Polymer, the St. Catherine MGP Sling Collection combines classic styling with durable, worry-free MGP. The collection uses stainless hardware that is hidden whenever possible. 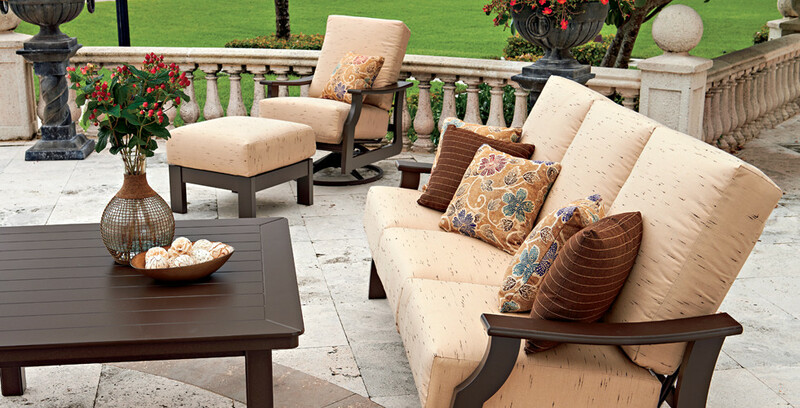 The collection coordinates with the St. Catherine MGP Cushion Collection to help you create the outdoor room of your dreams. Available in a variety of frame and sling colors. 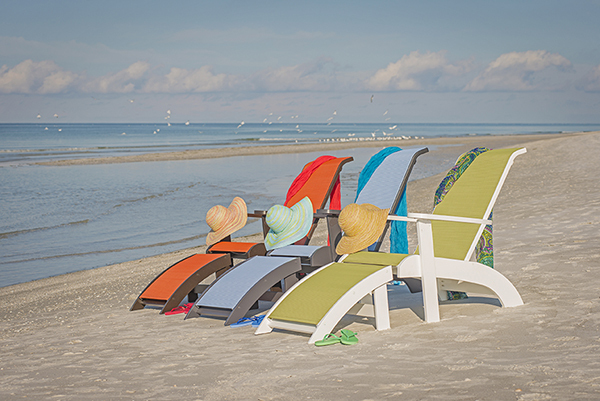 The Sling Adirondack is made of Marine Grade Polymer (MGP), and will not rot, swell, blister, or delaminate and will hold up in salt water and chlorinated environments without fading or breaking down. As a non-porous material, it is easy to clean and does not absorb dirt, chemicals, or any liquids. 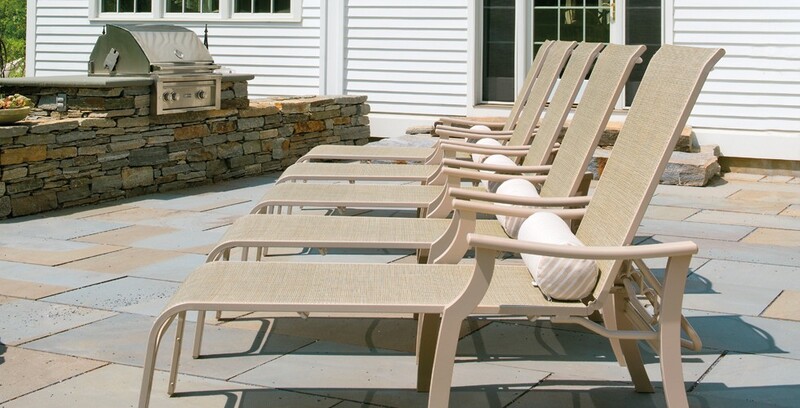 This durable, American made outdoor product is a great solution for hospitality and commercial needs.